We’re doing some serious heavy lifting over here at Be Bona Fide; really digging into who we are, what we’re about, and where we’re going. We want this year to be full of growth and we want to see the Be Bona Fide message spread to as many people as possible. Period. The question to ask is why? Why do we want more people to hear what we have to say? Why do we want to grow? To put it simply, why do we exist? And the answer is simple and complex all at the same time. 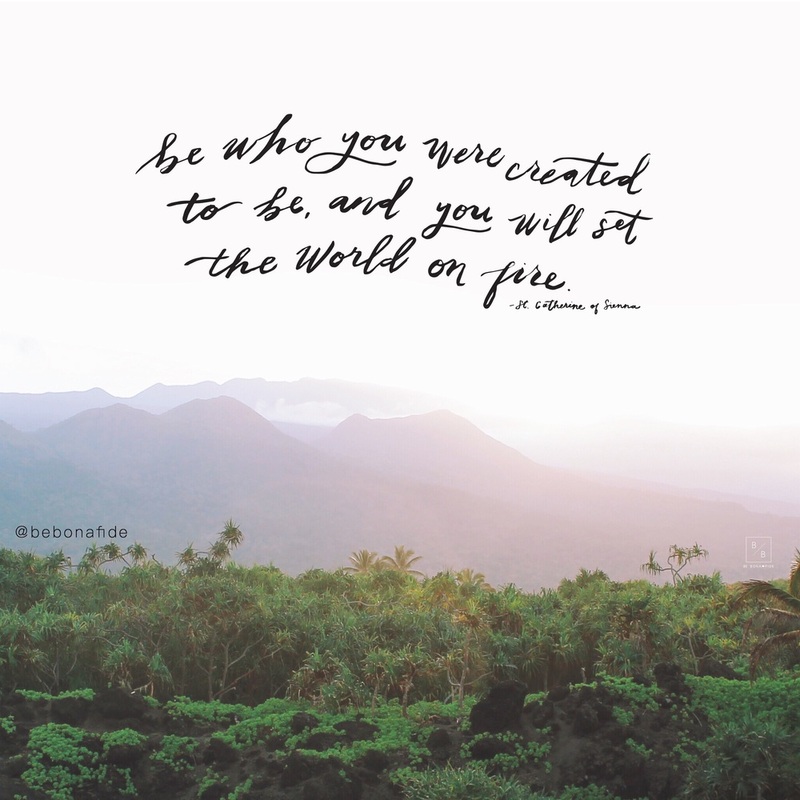 Simple, because we believe with a fiery passion that when you are who you were made to be the world will be better. Complex, because we were all made to be someone so unique, so delicately interwoven, that it’s impossible to create a step by step list on ‘How to Be Bona Fide’. So, we’ve come to the word inspire. We want to create a place that inspires and encourages and moves you to be REAL in a world that worships fake. We feel called, driven to do this, because we don’t want the world to lose the chance to know, really know, any one of you. Who are you? What makes you feel alive? What are your passions? What breaks your heart? Who do you love? What makes you belly laugh? What do you think, what do you feel, what do you know to be true? What if these were the kinds of things we discovered on each other’s Instagram instead of picture after picture of a portrait that doesn’t even scratch the surface of the beautiful complexity that is your magical life? We want to know you and see you. The real you. Because that’s the power zone. That’s the girl who’s going to set the world on fire. We think Spring is the perfect time to start this conversation, because all around us we are seeing dry barren land come ablaze with color. This is what it’s like when we choose to be Bona Fide. Our lives go from gray to brilliant hues of bright magenta and crimson and pink. Our dream is for our little Instagram family to make it happen. For each of us, one by one, to stoke colorful fires to life across the country and eventually the globe. Being Bona Fide is contagious and you could be the one to start the change in your community. We're asking each of you to be the spark. To be the woman who chooses this way of living and by doing so gives others around her the courage to do the same.